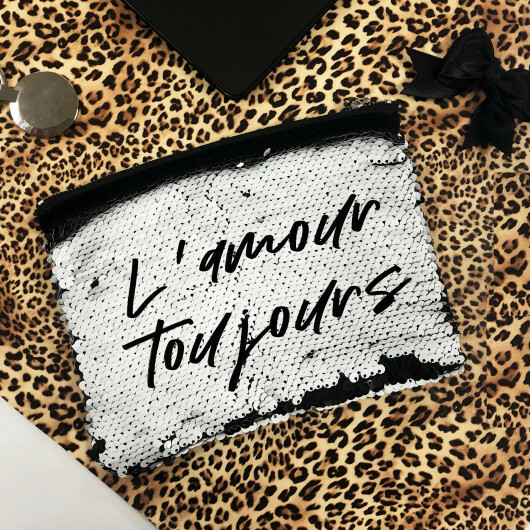 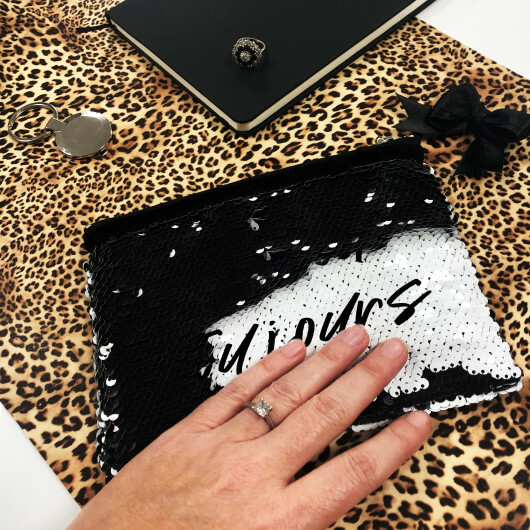 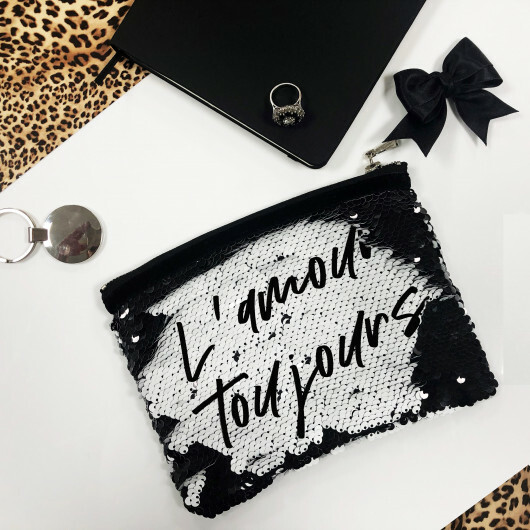 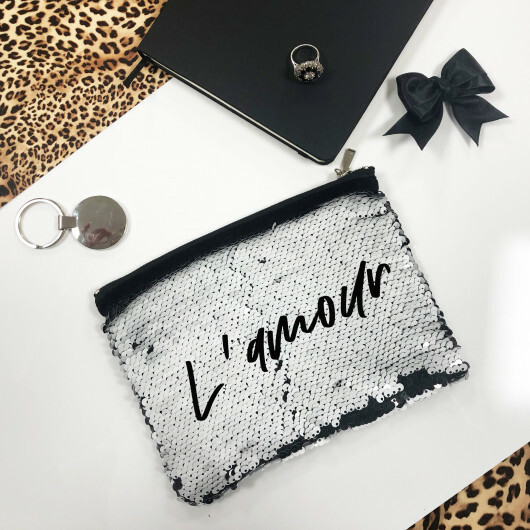 A stunning black sequin clutch bag with secret message reveal. 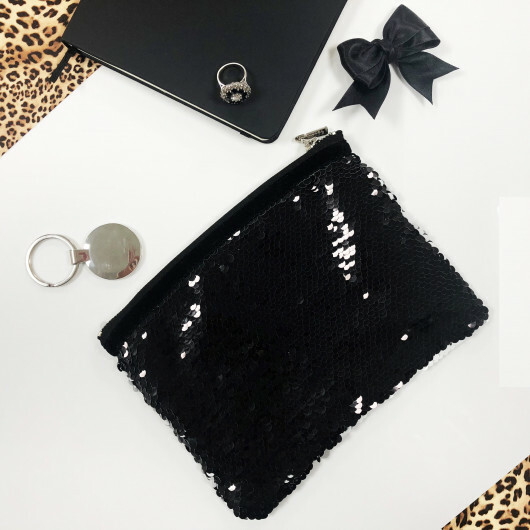 This beautiful sequin bag is perfect as an evening clutch or as a chic make up or cosmetic bag. The black sequins can then be pushed in one direction to reveal white sequins and a hidden message. Any message can be printed onto the white sequins to be revealed.